Lifting the storage cap on shader cache. 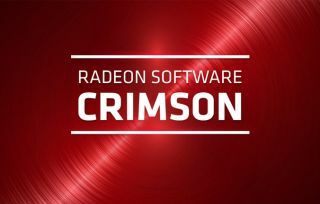 AMD just released its second hotfix in two days for Radeon graphics card owners, Crimson Edition 16.11.2. According to the release notes, the incremental update lifts the storage cap on shader cache so that games can store and reuse more locally saved shaders rather than recompile them. "This release is focused on an improvement to our shader cache feature to allow more shaders to be stored for extremely demanding games that may have previously hit the old storage cap. This will allow some games like Call of Duty: Modern Warfare Remastered to benefit more from this feature," AMD told PCGamer in an email. There's no mention of any other changes compared to yesterday's 16.11.1 release, including any new bug fixes, though our own Jarred Walton notes having run into a system crash on a system last night after updating to the previous release. That may have been bad luck, and he's apparently not deterred as he's already upgrading. In any event, Crimson Edition 16.11.2 is fresh out of the oven. Like yesterday's release, today's update adds support for Forza Horizon 3 and contains a new DirectX 11 Crossfire profile for Dreadnought. A few game titles may fail to launch, experience performance issues, or crash if the third party application "Raptr" has its game overlay enabled. A workaround is to disable the overlay if this is experience. DOTA 2 may experience a crash when launched using the Vulkan™ API on some Graphics Core Next products. Battlefield 1 may experience an intermittent application specific error message popup citing graphics device removal. Flickering may be experienced while playing Overwatch in the main menu or viewing character models using AMD Crossfire mode. H.264 content playback may experience playback issues on Internet browsers with hardware acceleration when also running gaming applications or contents. You can download the latest Crimson hotfix here.